Looking for something to do with your loved one on Valentine’s Day? We’ve put together a list of all the special events that will be taking place Valentine’s weekend so you can make sure your loved one knows exactly what they mean to you. Make reservations and order tickets in advance to insure you aren’t stuck picking up gas station flowers again this year! Expressive Art is a wonderful tool for reducing stress, expressing oneself, and restoring a sense of well-being. We invite you to explore this creative avenue of supporting your health through the fun and unique art of origami. You may register online at Valley Health through this event page, or by emailing comfort@valleyhealthlink.com or calling 540-536-4126. No experience is necessary. Materials and instructions will be provided. -A whole lot of fun! There will be a “tip” competition among our celebrity singers. Please remember to be bring “tip” monies to help them out! Sample chocolate desserts, enjoy special discounts and treats, listen to live music, and pamper yourself during the 6th annual Chocolate Escape, which returns to Old Town on Saturday, February 9. 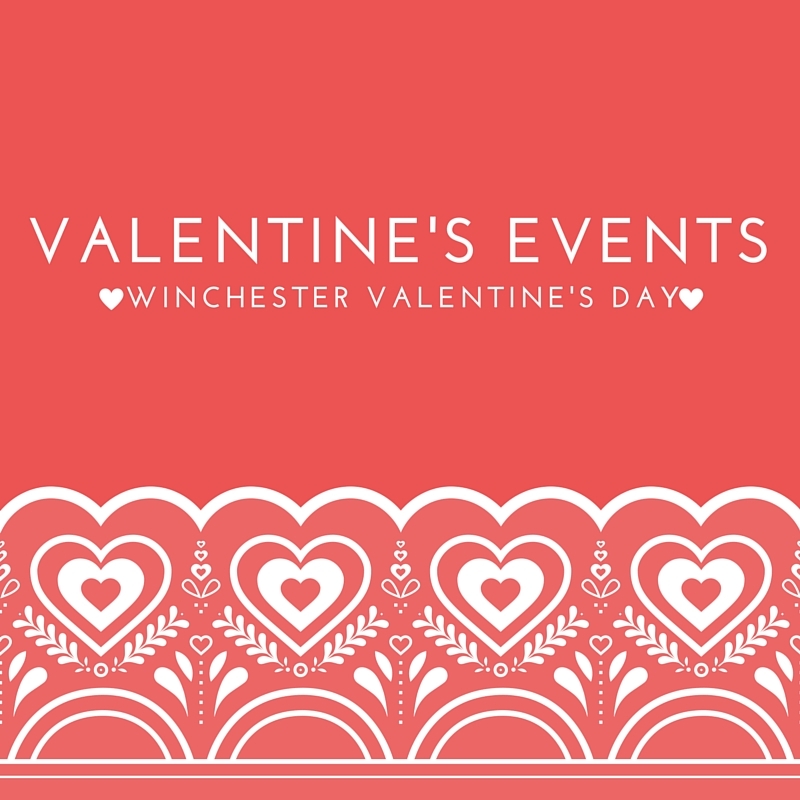 The event encourages shopping and dining for Valentine’s Day and takes place on Saturday afternoon. Last year over 50 businesses participated in this very popular event! There will be tickets on sale after January and will include a delicious dinner! Menu and ticket prices will be announced soon so mark your calendar now! Tickets are $45 and covers two painters. Each will paint an 11×14 to make one painting. Adult and child sit side by side . Event is for adult and one child age 6+. Taste Winchester History kicks off their specialty food tours with a fantastic line up of Desserts, Champagne and Roses for the ladies! You’ll visit 5 downtown restaurants and sample delicious desserts created just for us! The perfect Valentine’s Day gift! Tickets are limited! You and your sweetie go together like cupcakes and wine. This February 16th, fall in love all over again as you experience a self-guided pairing of Virginian wine and decadent mini cupcakes by the warm glow of the fireplace! These sinfully delicious pairings will finish your Valentine’s Day weekend off right! Reservations required in advance. Tickets are $18 per person and include a pairing of four mini cupcakes and a healthy tasting, complete with a pairing guide.